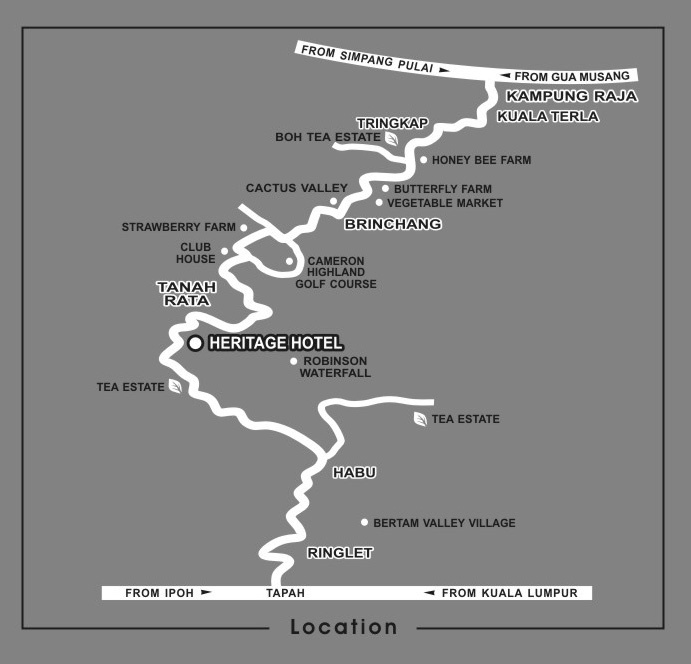 The hotel is ideally located at 1,300 meters above sea level surrounded by lush tropical forest which gives a bird's eye view of the panoramic town of Tanah Rata. From Ipoh - 120km or about 2 hours drive. From Kuala Lumpur - 200km or about 2 hours 45 minutes drive.